Online video courses to help you learn to paint, or improve your painting, to become the confident artist you've always wanted to be! I wanted to be able to paint. I'd never had any training so I worked on paint by number kits. First on canvas board, then on canvas. I reached a point where the results were excellent. But I knew that I was only filling in blanks, not learning techniques. I tried watching DVD's and working from books, but I just wasn't getting what I needed to be successful.Then someone told me about a wet on wet oil painting class at a local hobby store. After two four hour classes with ten other students I realized I wasn't really learning anything. I would leave with a nice painting, but the teacher did most of it. Rather than tell me specifics on how I could improve, he would just take my brush and do it for me. I was ready to just give up on my dream of becoming an oil painter. 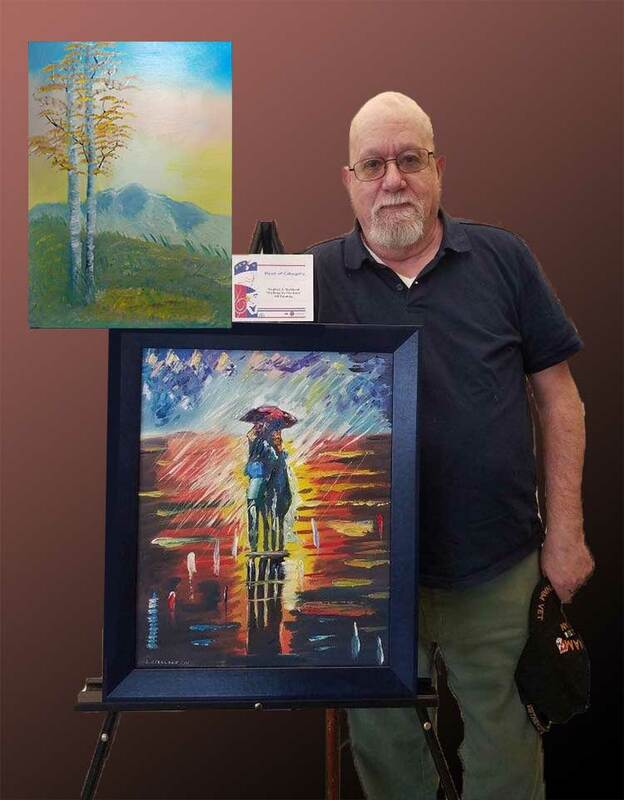 Steve's "Walking in the Rain" (one of two bonus paintings) won a regional VA Art Award and advanced to the national competition. 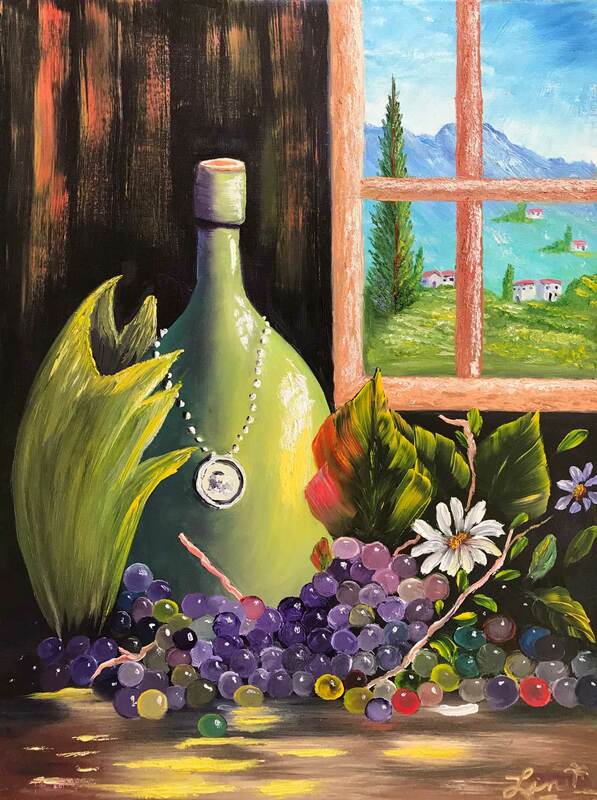 Alexander Art works with those who want to reconnect with the artist they used to be or become the artist they want to be. We help folks discover their artistic potential, release their creative power, and become accomplished, confident artists. Stop wasting time watching other people show you how well they can paint. 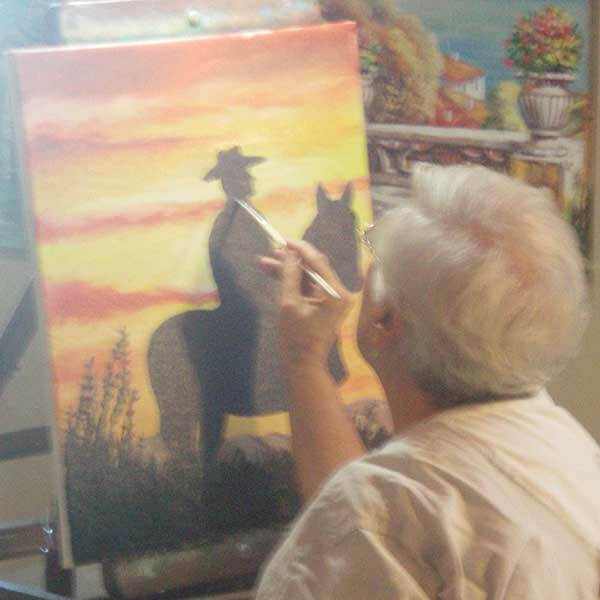 Learn to paint from a master artist and master teacher. Reconnect to that inner spirit that made you fearless as a child. Find your true self on the canvas through the medium of oil painting. Gain the confidence that's been holding you back from becoming the artist you want to be. With Alexander Art and Master Class my life has changed. I have learned techniques and concepts to teach me to be the artist I want to be. 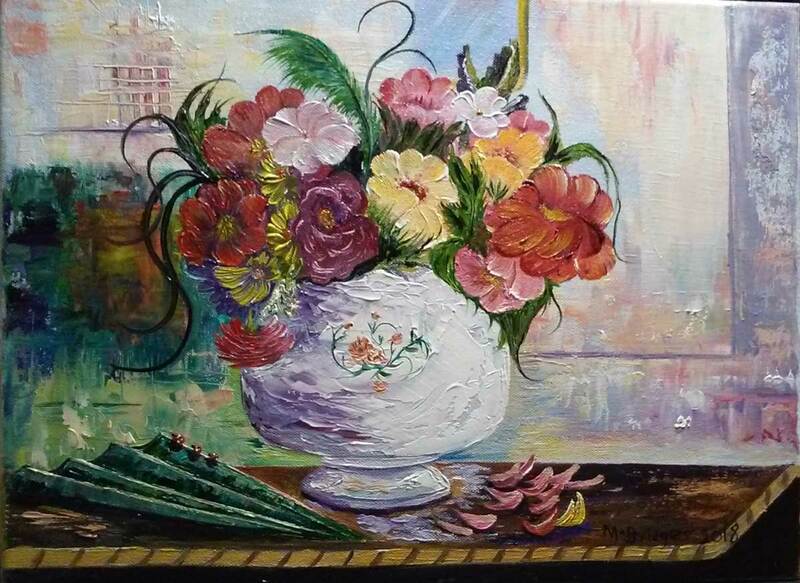 I have gained the confidence to start and finish a painting that I am proud to give my family and friends and to sell. I am painting things I never would have thought possible. I have met so many wonderful people all over the world. In Master Class you are never alone. By the time I started Master Class, I knew I had a little talent. I could see the progress I was making just by painting, and friends and family had told me as much. But I was entirely self-taught, and I had reached a point where the free videos I could find on YouTube were no longer helping. I tried reading some books, but they were beyond my skill level; they were teaching the algebra of painting while I was still struggling with multiplication and division. My biggest problem was that I had reached an impasse and didn’t know how to go forward. I felt like I was going in circles. I spent hours on YouTube, looking for help, but I felt like I was searching for the proverbial needle in a haystack. It was all very deflating because I wanted to get better but didn’t know how. The biggest difference with Master Class was its structure, its plan. It’s a class, not just another demonstration. 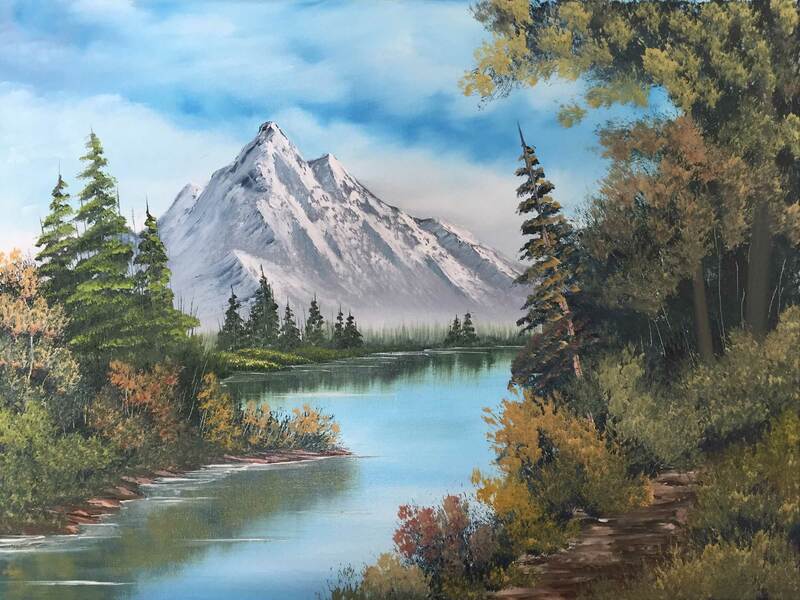 Tom explained everything I thought I needed: from how to lay out your palette to how to load your brush with paint to how to put highlights on mountains and trees. 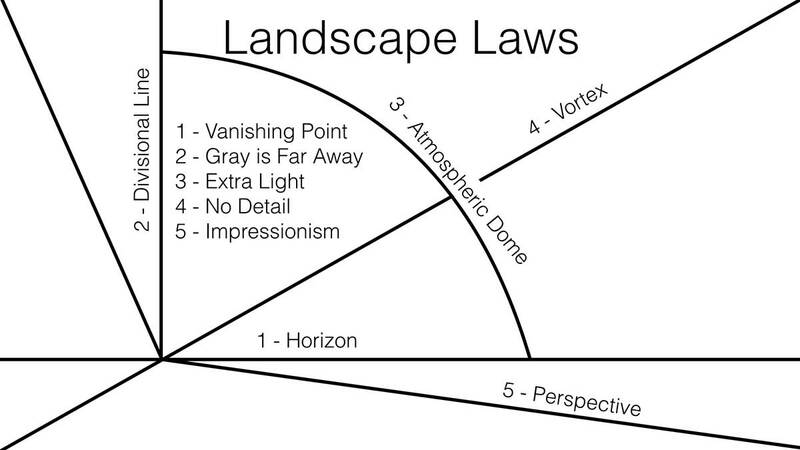 But then there was all the information I didn’t know I needed to know: from landscape laws to color theory to how to think about painting. With Master Class, I found the teacher I was looking for. Now that I’m halfway through the Advanced Class, I feel like I can paint anything. Master Class has not only taught me so much, it has shown me the path forward. I have a tremendous amount of confidence, and painting is more enjoyable than it’s ever been before. Start with the Introductory Course. When you finish you'll have the opportunity to continue your training with the Intermediate and the Advanced Courses. 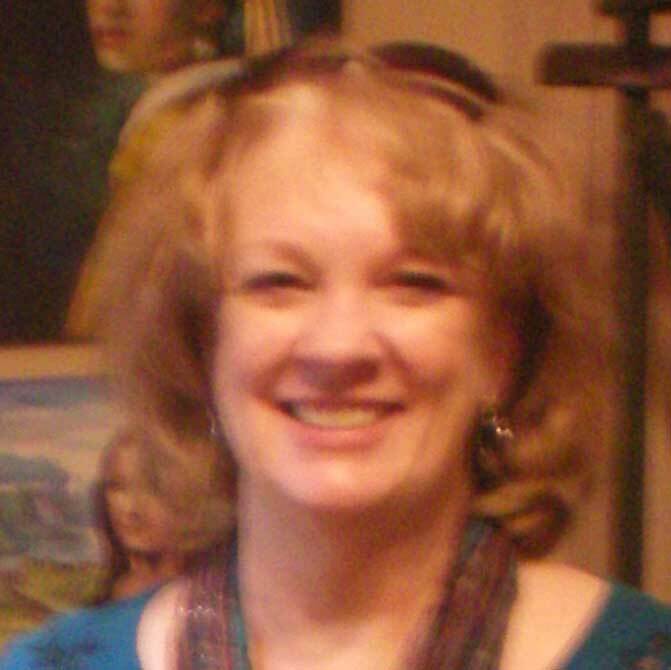 You learn to paint better and faster when your instructor is experienced, passionate, organized, and entertaining. An expert will teach you more in a day than you can learn on your own in a year. 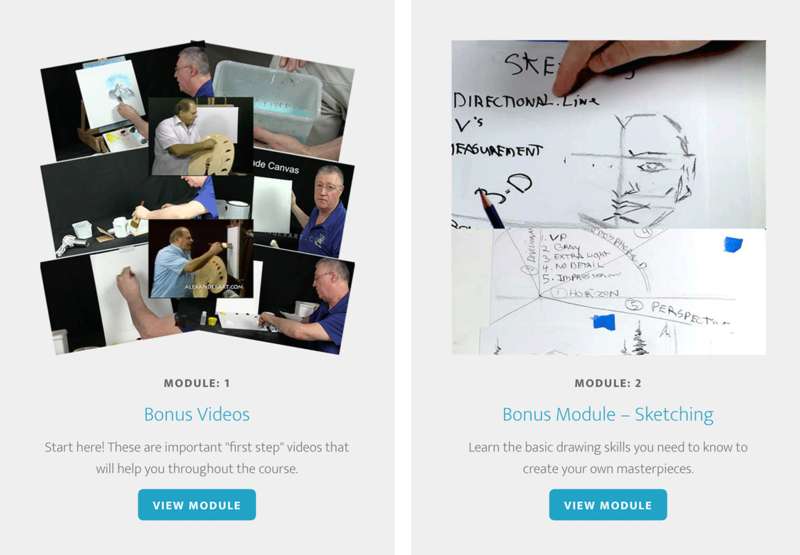 Three separate courses, designed to take you from a novice painter to advanced artist. 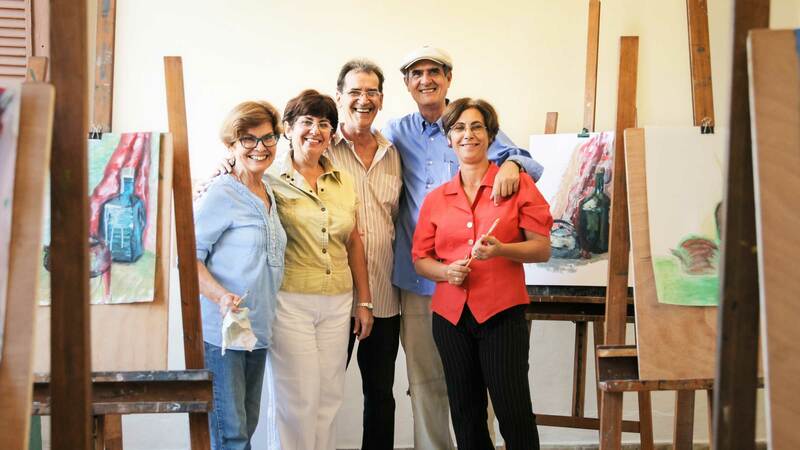 Five paintings in each course with bonus paintings in the Intermediate and Advanced Master Courses. WHAT MAKES ALEXANDER ART DIFFERENT? 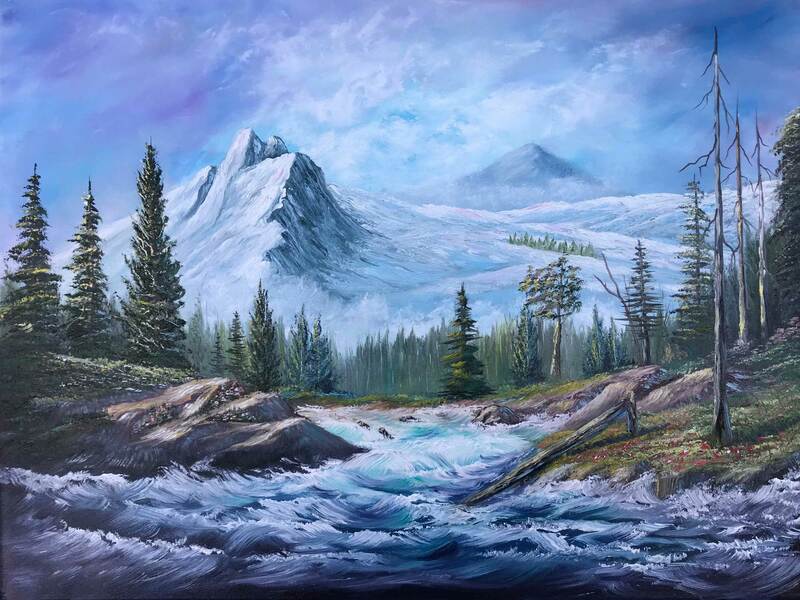 Alexander Art helps you create beautiful oil paintings faster and easier than you ever believed possible even if you've never picked up a paintbrush in your life. Alexander Master Artist Tom Anderson teaches our Master Class. No one knows the Alexander Method™ better. He has made teaching others to paint his life's work. As a lifelong learner and a student of the Old Masters, he has traveled the world viewing their art. 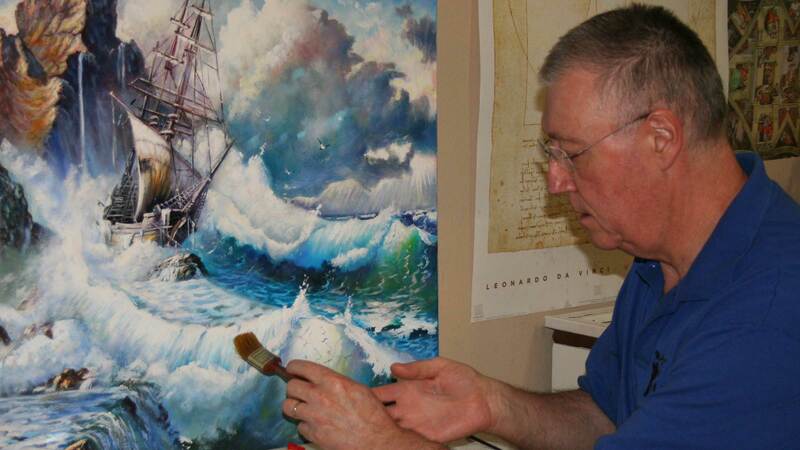 Other than Bill, no one will teach you to paint the Alexander Method™ better than Tom. I didn't even know I had the talent, but wanted to try. Tom brought out the ability in me and for that I can't thank him enough. ...little did I know the huge impact the gift of your Art would have on my life. Thank you! I would never have discovered the joy of creating an oil painting of my own. You showed me how! Nothing seemed to work for me. I spent as much time scraping off as I did painting. Of course I had no way of knowing then, but I know now, it was partly the paint. 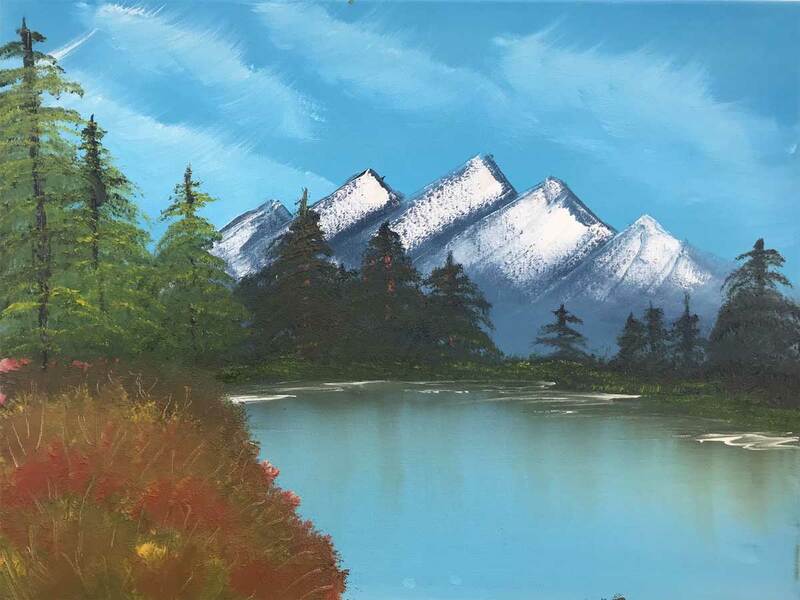 I had no idea what I was doing, just that I really, really wanted to learn to paint. I was quite often disappointed in the work I had spent so much time trying to accomplish. I did watch quite a few videos on line, but there always seemed to be something missing. I knew from day one, that Mr. Anderson's teaching techniques were exactly what I needed, if I was ever to learn to paint properly. I have really enjoyed every class, and every video that I have seen. Mr. Anderson does a masterful job of explaining elements of the paintings, and demonstrating exactly how it's done, then giving us a chance to make our copies. My copies are priceless references when I get ready to begin my painting. I just love it! I am excited to see what Alexander Art has for us next! There is so much more that I need and want to learn before I run out of steam! 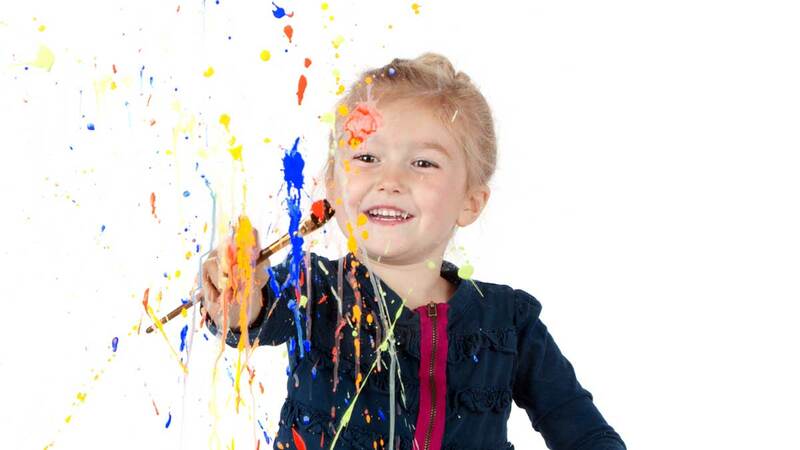 How much would private lessons with a master artist cost you? 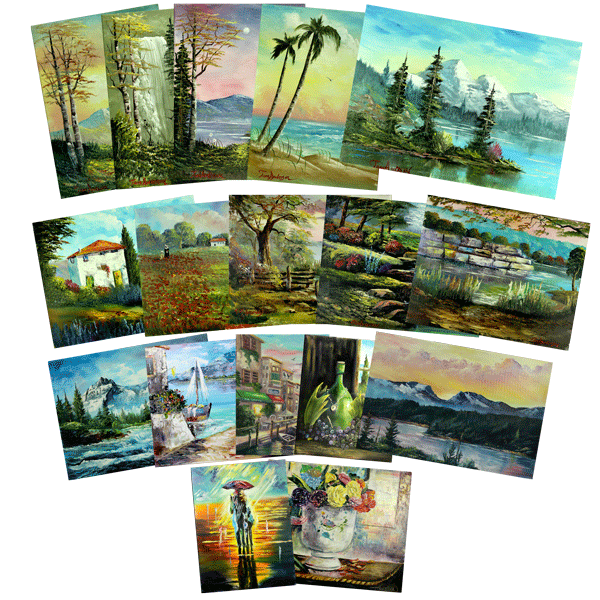 How many hours would it take to learn the basics of oil painting and then create five beautiful works of art? 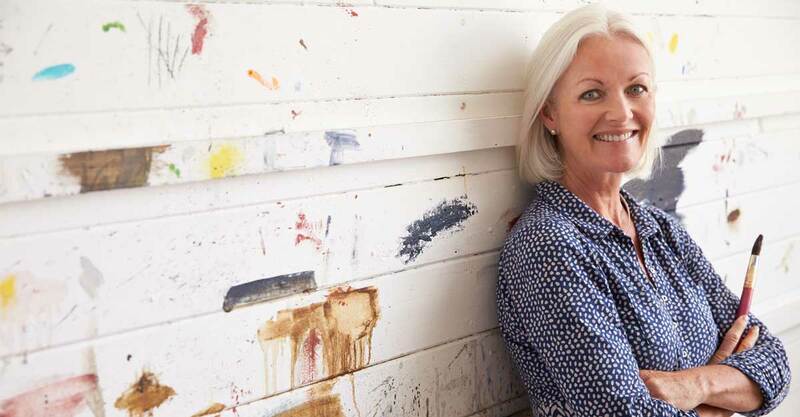 It could cost you as much as $6,000 and months of training to learn to paint the way you'll learn in Master Class for a fraction of that price. And you'll have the lessons on video so you can return to them over and over. Spinning your wheels trying to learn from amateur videos on the Internet? Buying DVDs that require you to be a master artist to use them? 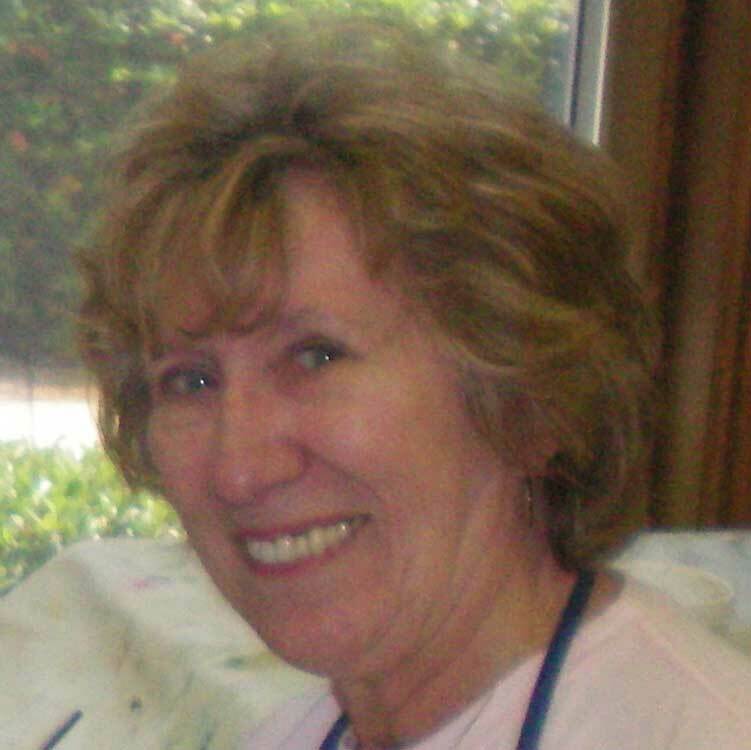 Is the teacher finishing your painting at the workshops you attend? We know these don't work. With Master Class, in only a few short weeks you will be creating beautiful art you'll be proud to give as gifts or maybe even sell. Start with the Introductory Course. Upon completion of the course, you'll have the opportunity to continue your training by enrolling in the Intermediate and the Advanced courses. 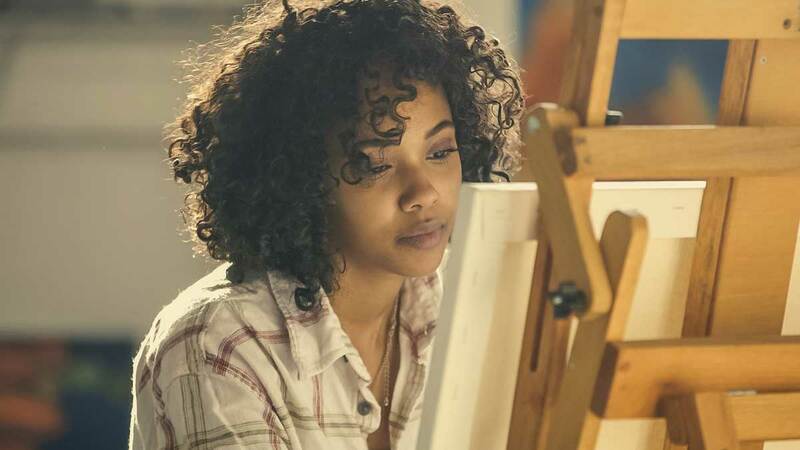 Achieve your dream of becoming an artist. Enroll in Master Class today. We will refund your payment with no questions asked. Enroll in the Introductory Course today. BUY NOW 3 payments of $285, totaling $855. 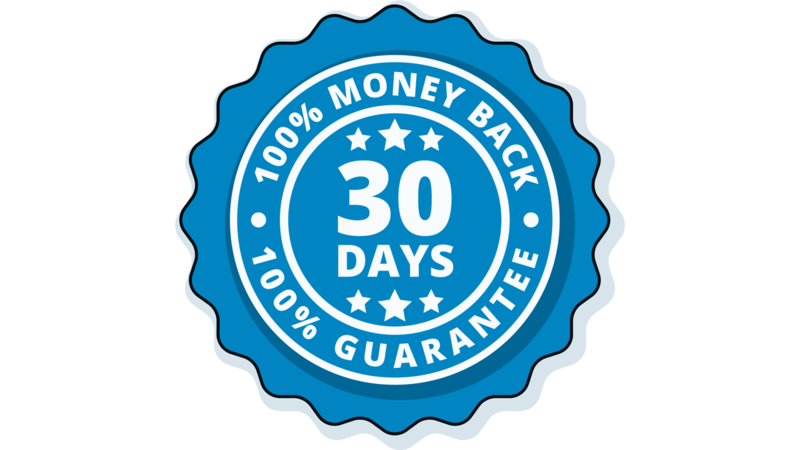 First payment will be drafted immediately, then you'll be drafted in 30 days and 60 days for the remaining payments. Clean up with our environmentally friendly solution - you can buy all the elements at the supermarket - that's right, we've gotten rid of the thinners and solvents. 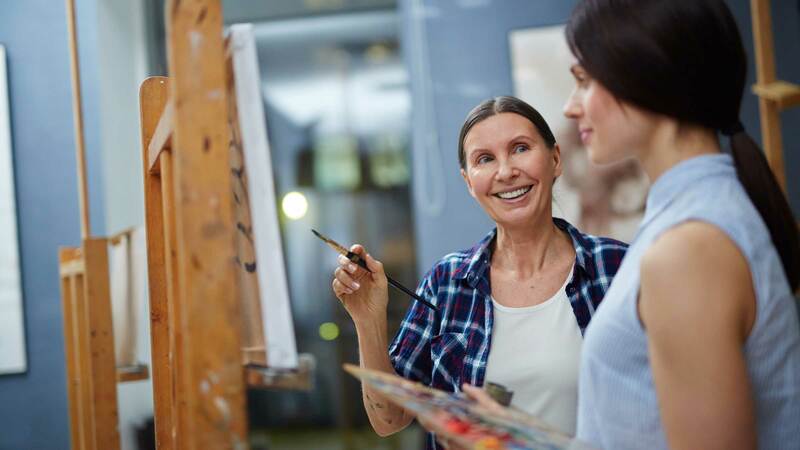 These hours of additional training will help you become a better artist. Do you want to become an artist? We can get you there.